When I stumbled across this novel at a book sale recently, the overall design of the book (my copy has fancy purple-edged paper, an attractive design and a matte finish cover), along with a quick read of the blurb convinced me to add Day Four to my (already heaving) shopping bag. Although the above synopsis suggests that it is a murder mystery novel, one would be wrong to classify it as such – the murder mentioned is only one small element of this paranormal thriller. Only after I bought the novel, did I realise that it was the sequel to Lotz’s previous book, The Three. Although it is marketed as a ‘stand alone’ story, (reviews suggest that the links between the two are loose), I debated long and hard as to whether or not I should buy and read the latter first. 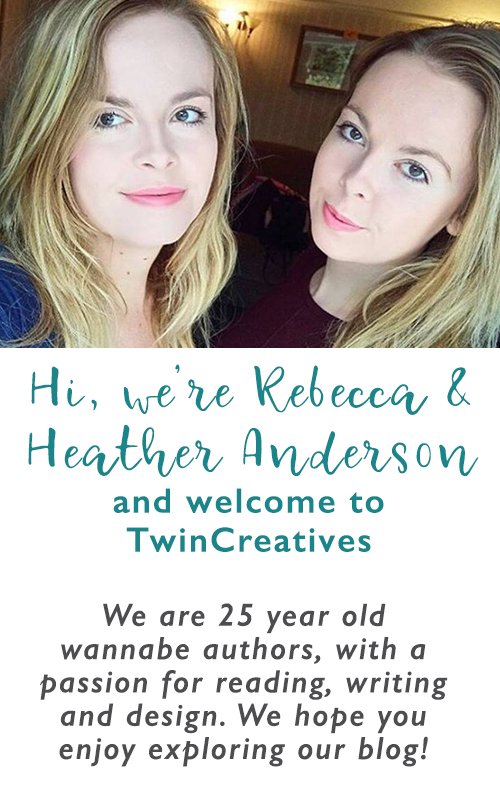 The decision to dive straight into Day Four was made mainly because the blurb intrigued me so, but also because I wanted to figure out whether or not it was worth spending more money on an author that I had no previous experience of reading. The book is mainly written in third person, which happens to be my least favourite tense. Despite this, Lotz’s writing style is enjoyable – she writes simply, and her use of description is vivid yet sparing, with no unnecessary words or extended descriptions. Lotz sets the scene well and I found it easy to imagine the cheap and cheerful Beautiful Dreamer. Unlike a lot of novels, the pacing was perfect – the sense of despair aboard the ship increases gradually as life on-board begins to get more and more unbearable. Although I enjoyed the overall narrative of Day Four, Lotz’s use of characters disappointed me somewhat. Instead of having one or two main characters, the novel had several, all of which took it in turns in being the view-point character. Each protagonist had several chapters dedicated to them throughout the novel, which made it hard to follow what was going on. Just as soon as you got into one character’s story-line, the chapter ended and another began, along with either a new character story line, or a continuation of one which had happened several chapters back. Thankfully, each character has a nickname which appears at the beginning of the chapter (‘the Devils Handmaiden’ for example) which helped in navigating the chapters, and also added another level of characterisation. Because of the extensive character-hopping, I found it hard to become attached – I didn’t find myself ‘rooting’ for anyone in particular. Although each of the characters seemed ‘fleshed out’ their development and backgrounds appeared to offer no real depth to the plot. I believe the novel would have been equally as entertaining, if not more so, if it had focused on only one main character. 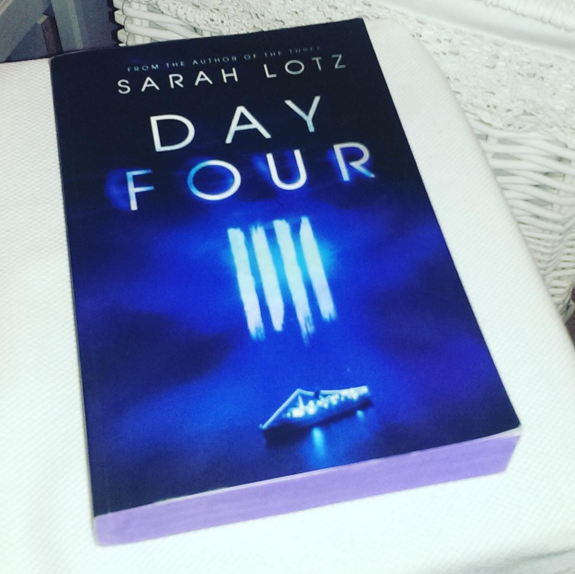 Day Four is my first experience of reading a supernatural thriller so I was excited to see how Lotz would interweave supernatural into the novel. Overall I was a little disappointed – although the sporadic paranormal events were creepy there was very little build up to them. I had read some reviews where reviewers had described the book as ‘terrifying’ so was really expecting to be scared out of my wits! 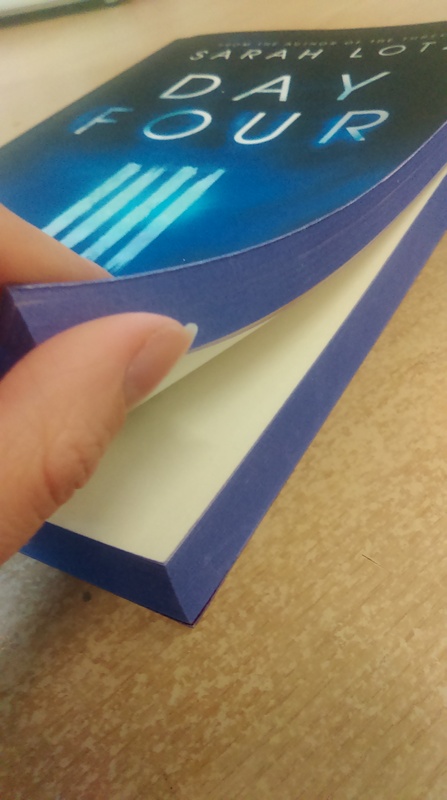 This didn’t stop me from enjoying the book as a whole though. The twist and the ending had promise, but were not as chilling as they could have been. I was left feeling a little confused as to what had actually happened. This could well have been intentional – the ending is perhaps meant to be ambiguous and echoes the confusion aboard the boat. 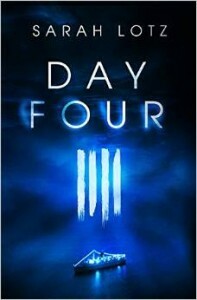 Although some of the elements of the novel were a little disappointing, I really enjoyed reading Day Four, so for that reason alone I would recommend it. I looked forward to reading it, and it had me hooked right up until the end. I also enjoyed Lots’z overall style, and have read some rave reviews about her other book The Three, so will be purchasing and reading that in the near future! Has anyone else read this book? Do you agree or disagree with my comments? Comment below!